It seems quite easier to find a Chinatown in foreign countries than a Japantown, isn’t it? By estimates, there are over 50 million people of Chinese ancestry living beyond the borders of China. In comparison, there are only about 3 million individuals with Japanese ethnicity living outside the Land of the Rising Sun and the huge bulk of this number can be found in Brazil. It would be more than a hundred and ten years now since the massive Japanese migration first took place in Brazil. 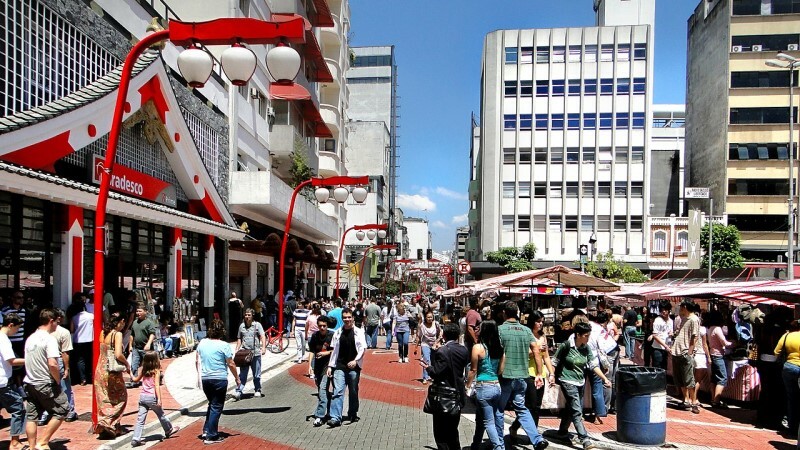 Today, the different Japanese communities found throughout Brazil have been enjoying a fruitful cultural and economic exchange with the citizens of its adoptive homeland. However, this unique relationship hasn’t always been that delightful. Let’s take a quick look at the history of this rather, tumultuous relationship between an Asian country and a South American nation. Let’s also examine how one country was able to influence the other through time. The year was 1908. Feudalism was finally abolished in Japan. Hundreds of landless farmers sought for opportunities to make a living and maybe, make fortunes to pass on to their families. Perfect timing: Brazil has been looking to solve the decreasing Italian migration to the country which greatly affected the operations of its vast coffee plantations. They need more laborers to harvest coffee. 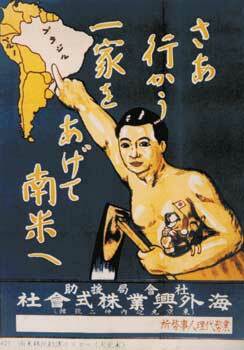 The Japanese and Brazilian governments then signed a treaty that easily permits migrants from Japan to enter Brazil. 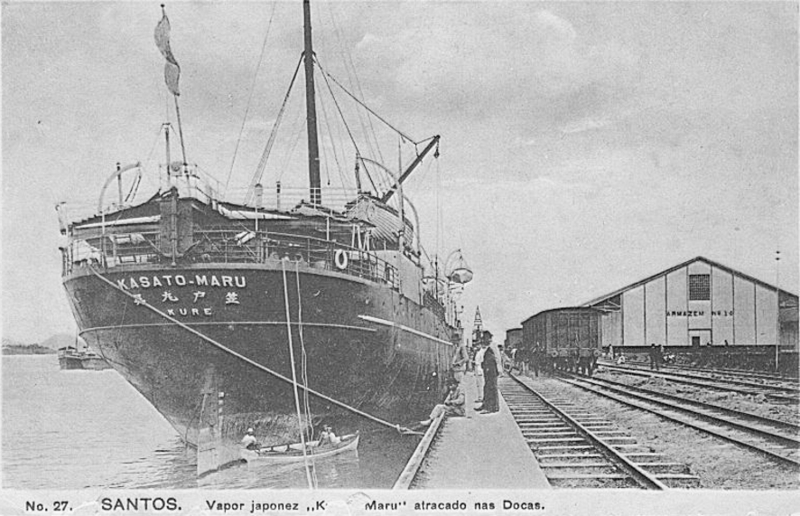 And indeed, hundreds of Japanese (mostly farmers) journeyed to Brazil in 1908 aboard the Kasato Maru. They arrived at the port of Santos, which is 60 kilometers south of Sao Paulo. Before setting off from Kobe, Japan, the migrants were promised in their contracts accommodation and a handsome pay to go along with it. However, what they got was the opposite. The newcomers, who were now called nipo–brasileiros, found themselves working in poor, slave-like conditions. They were housed in poorly-constructed makeshift houses with no proper fixtures like kitchens and bathrooms. To make it worse for the Japanese, the salary rates were way different from what they signed up for. They toil from sunrise to sundown but were compensated by Brazilian land owners with little to no pay. The basis for their salary rates was the quantity of coffee beans they picked. However, their masters and brokers would often be in connivance to cheat the workers from the real volume of their harvest. As a result, the Japanese migrants received low wages. It was then nearly impossible for the families to thrive, if not survive, with what small money they made. Apparently, the slavery mentality were too deeply-ingrained in the consciousness of these hacienderos that they nearly wanted the immigrants (who were officially their employees, not slaves) to work for free. Confronted with the harsh reality, most of the Japanese workers planned to save money to return back home. But it was even nearly impossible to put food on the table. Prices of the basic commodities, food, and medicine were so steep. Low salary, insanely-high food prices, plus the debt they incurred from their employers, trapped the hopeful migrants in a dire situation. In desperation, some Japanese chose to breach contracts and flee to nearby plantations. Others took odd jobs in different industries to get by. There were also others who formed factions to establish their own coffee plantations. As if the maltreatment of the landowners weren’t enough, Japanese immigrants faced more oppression, this time coming from Brazilian authorities. When the Second World War broke out in 1942, Brazil was an ally of the United States. And, unless you’ve been living under the rock, you may have known that Japan, a member of the Axis Power, was an enemy of the Allied Forces. The war further made it difficult for the Japanese to live in Brazil. Soon enough, the Allied country issued orders to prohibit the printing or possessing of Japanese newspapers. It was also made illegal to broadcast or to even listen to Japanese radio stations. Suspicions on the foreign community began to grow more that the Brazilian government went to criminalize public assembly of Japanese people. Authorities sought out individuals they suspected to be spies for Japan. At one time, they arrested a Japanese journalist and a few others who were just having a picnic. Moreover, some Japanese communities were pulled out from their localities. Japanese schools were also ordered to shut down. Fortunately though, the displaced families were not sent to jail or detention camps. For years Japanese Brazilians were deemed to be a non-assimilable group of people. Brazilians perceived them as mere workers for hire in coffee plantations. Furthermore, Brasileiros found it also difficult to relate with the Asians. Some citizens chose to avoid mingling with them. The government even issued orders prohibiting the absorption of Japanese cultural influences into the native community. But the wheel of time keeps on turning. Soon enough, the negative conception and the pervading maltreatment towards the Japanese vanished through time. Change came and it was for the better. Along the years, the succeeding generations of Japanese Brazilians were able to overcome the hardships experienced by their forefathers. 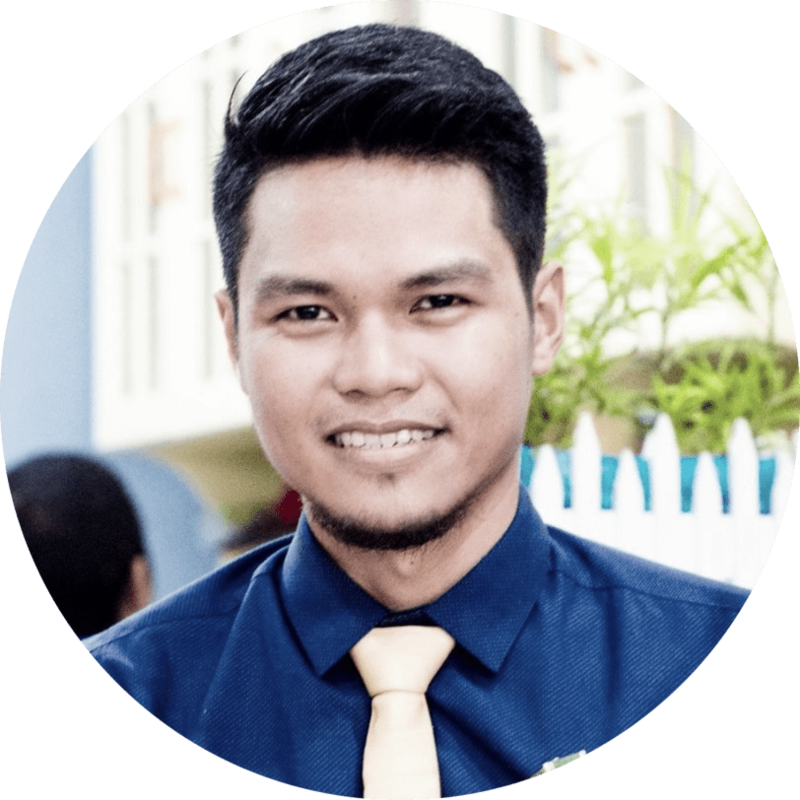 They were able to improve their status in lives through education and hardwork. Relationship between the two peoples improved. Brazilians eventually changed their perception towards the Japanese population who were now considered a significant factor in developing their country’s agricultural sector. The 1970s saw Japan at the height of its economic, political, and cultural success. The nation’s newfound prestige in the global arena carried well to their countrymen in Brazil. The nipo–brasileiros made well for themselves too as the industries they managed to establish have also flourished. In the following decades, Brazilians of Japanese descent were able to achieve a reputation that was a far cry from what the early immigrants had when they first arrived in the country. Exchanges between two distinct cultures would be inevitable if they happen to cross each other. The Japanese people’s arrival in Brazil did make some lasting impact on the Brazilian society and it manifested in so many different ways. For example, in food. The Japanese were able to impart their preference for dishes with more fruit and vegetable ingredients on it. As a result, Brazilian dishes became more colorful and healthier. Brazilian sushi dishes, in particular, maximize the use of local fruit products like mango, avocado and guava. Aside from food, the Japanese farmers carried with them the knowledge of their martial arts which they shared with the Brazilians. It’s likely that you’ve heard of “Brazilian Jiu-Jitsu” or BJJ. It is a fighting system made more famous along with the popularity of mixed martial arts fights such as in the UFC and ONE Championship. As it happen, BJJ is an offshoot of judo, a much older Japanese combat discipline. These examples barely scraped the surface but it’s quite clear that these influences did help shape the country’s culture. Around the late ‘80s and the early ‘90s, the migratory flow between the two countries suddenly made an interesting turn. In those years, Japan managed to improve its economic situation and achieved stability. Meanwhile, Brazil went through a crisis that forced many of its people to pack bags and venture to other countries, including Japan. With the immigration treaties still in effect, a lot of Japanese-descent Brazilians sought entry to the Asian country in search for work. Despite their apparent close ties and ethnic affinity, these foreign workers called “dekasseguis” were only given temporary working visas. Before the year 2000, there were already close to 300,000 registered Brazilians working in Japan wherein they comprised 14% of the total registered foreign workers.